CM 3/c Thomas S. Edwards, son of Mary E. Edwards, attended Tipton High School; husband of the former Tommie Clifton. 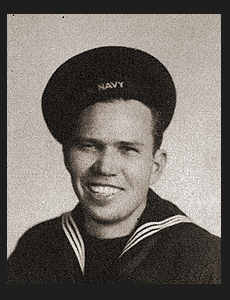 Entered the Navy in 1942, trained in Camp Bradford, Va.; served in Hawaii, Guam. Awarded Good Conduct Medal, Am. Defense Ribbon, Asiatic Pacific Ribbon with one Battle Star.